Earlier we wrote about the the Caserta Canile that has big financial problems. 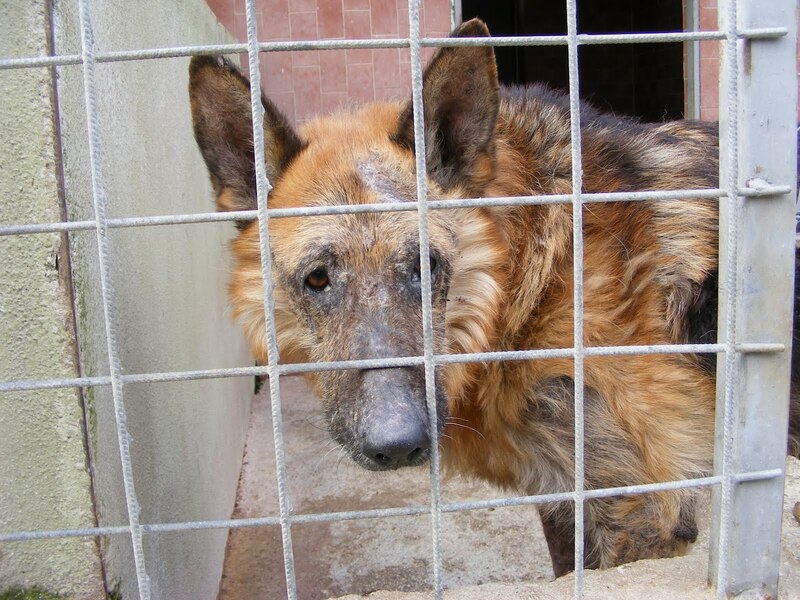 Its a particularly big problem for the 387 dogs that are without food and medicine. Its not only a lack of donations — the Government stopped paying to keep the “official” dogs there, but the dogs remain. There is an Italian help organization that welcomed us and showed us around. Of course we wanted to help all the dogs we saw and it is always heart-breaking to only chose two clients. We saw Vasili, a nine year old male, that had been there for many years and not much money for his treatment. They had found him some years ago tied outside the shelter. Can you imagine how heart breaking for the dog, being tied and left by your owner? Funny is also around nine years old. She was found behind a tombstone in a graveyard. They say she was grieving her owner who had died. 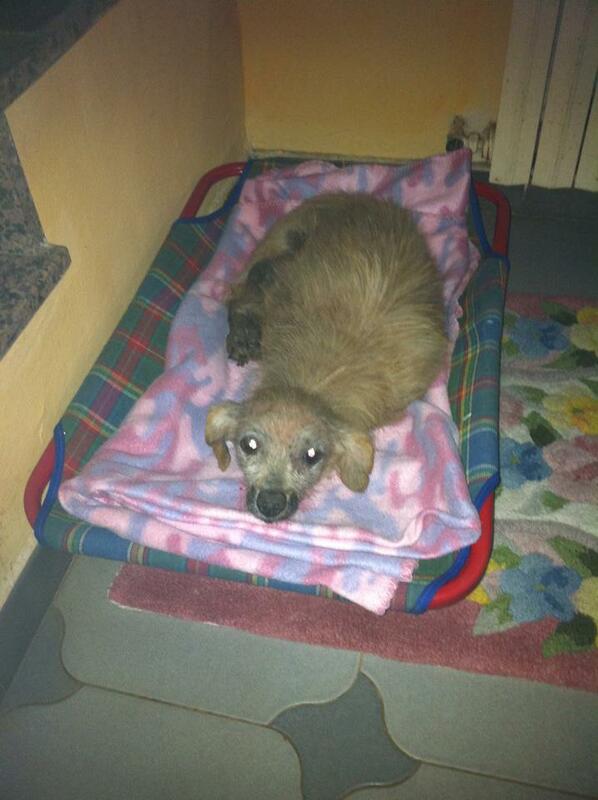 Funny is also very sick, but is now resting out at our hospice. 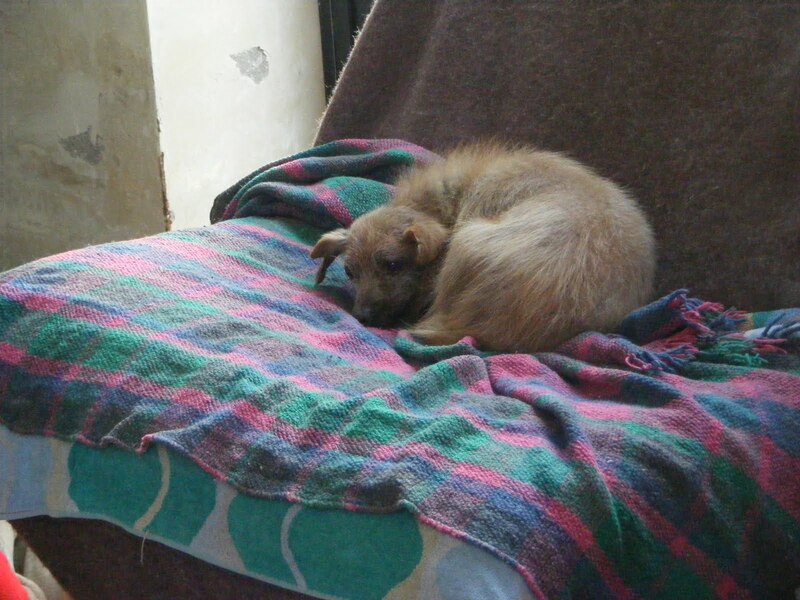 Vasili is actually housebroken, and he is very sweet, following everyone like a shadow. He is so eager to please. 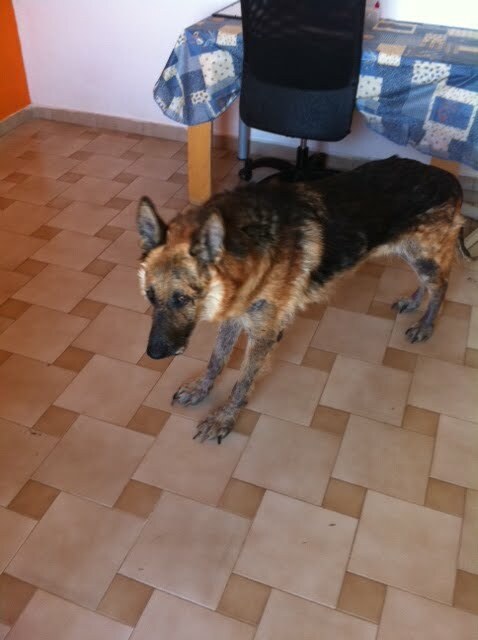 He is in a lot of pain and has skin problems, a lot of wounds. He has been to our Dr. Damiani for a blood test and we are waiting for the results. He is in need with a lot of treatments, and health care. But soon he will be a handsome guy. Funny loves the hospice beds, she is a sweetheart. She has also gotten a blood test. She is having a small problem with her heart and a skin problem. Now she is now on antibiotic. Vasili and Funny are in very big need of sponsors. They need a lot of medicine, please help them. Donations can be made via PAYPAL or to our Italian bank account please see http://www.animalswithoutlimits.com (donations) for details.